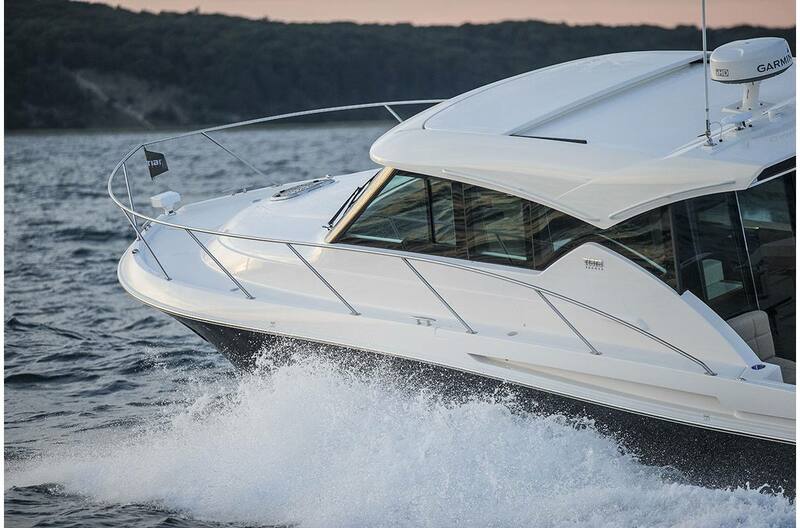 Continuing the success and enthusiasm of the Tiara Coupe series is the 39 Coupe. 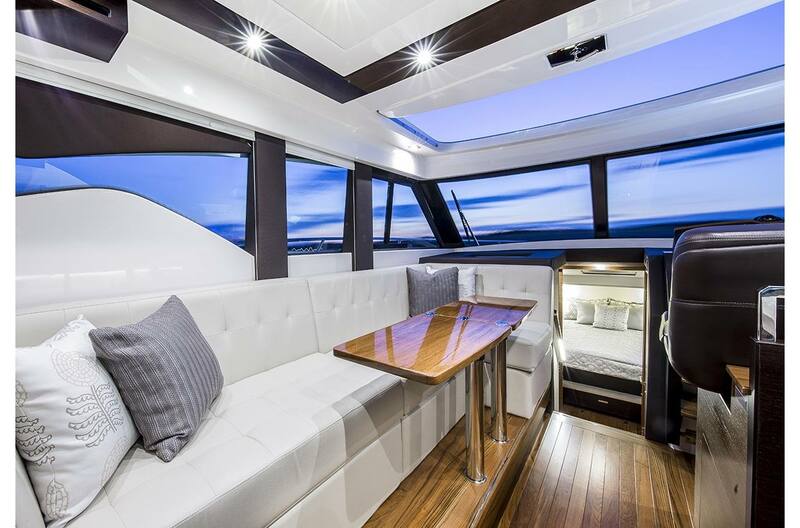 Classic Tiara styling and quality components highlight the exterior; modern interiors and architectural appointments await inside. 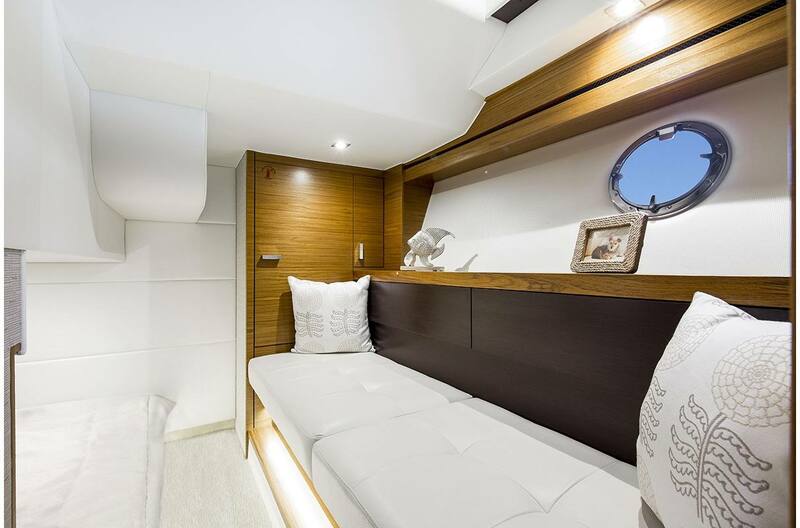 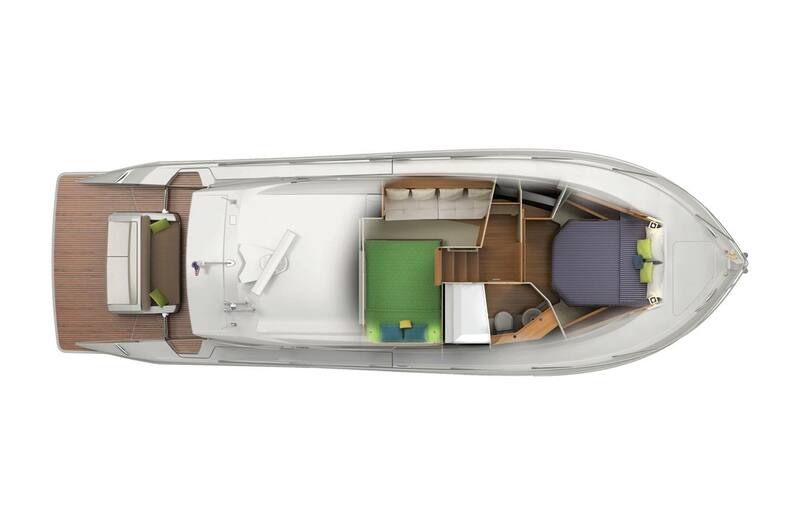 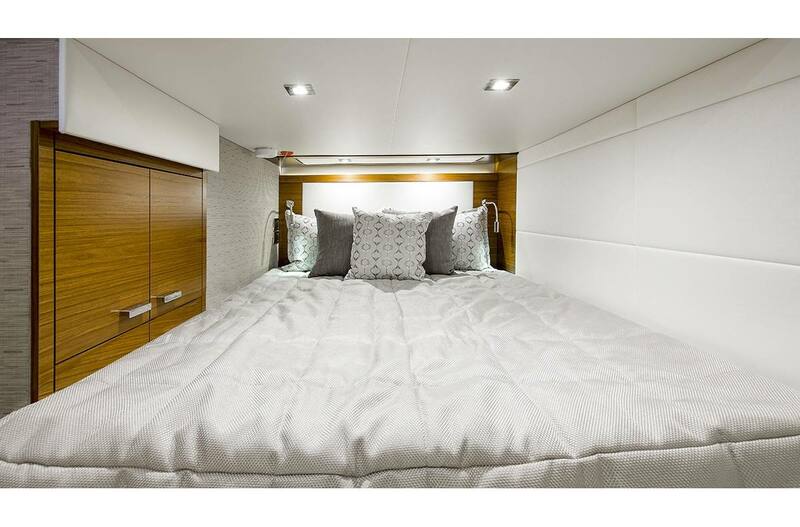 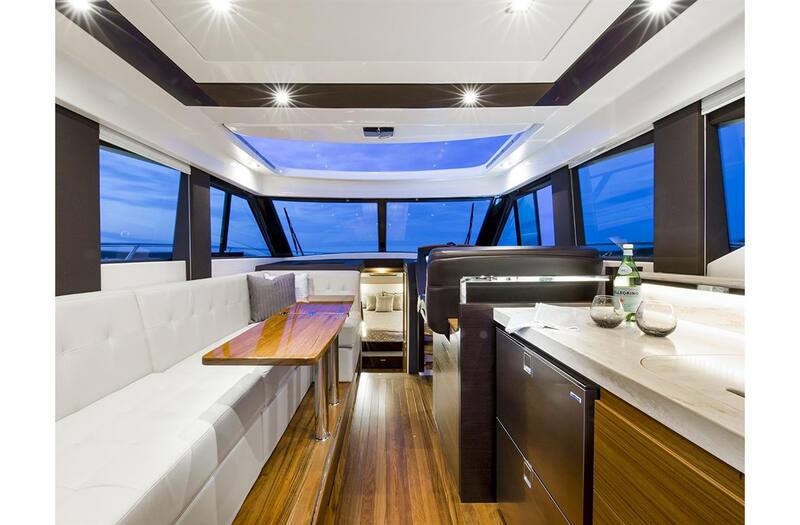 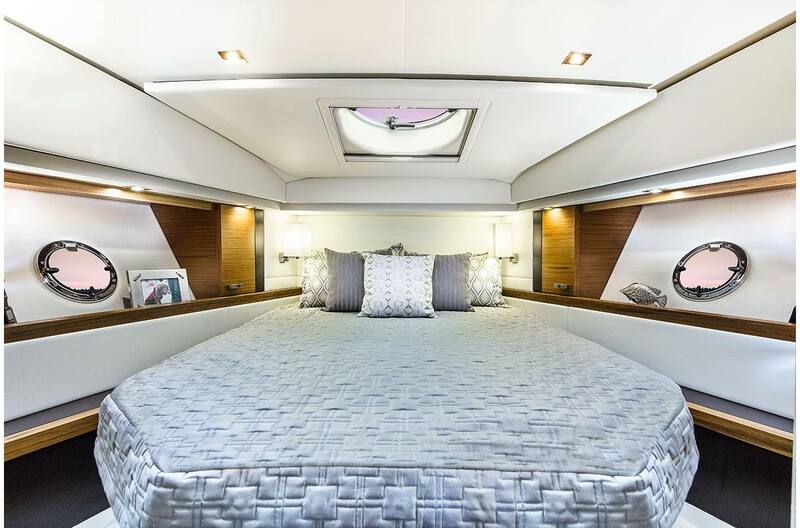 With open and spacious floor plans that keep galley and cockpit engaged, every detail has been thoughtfully attended to. 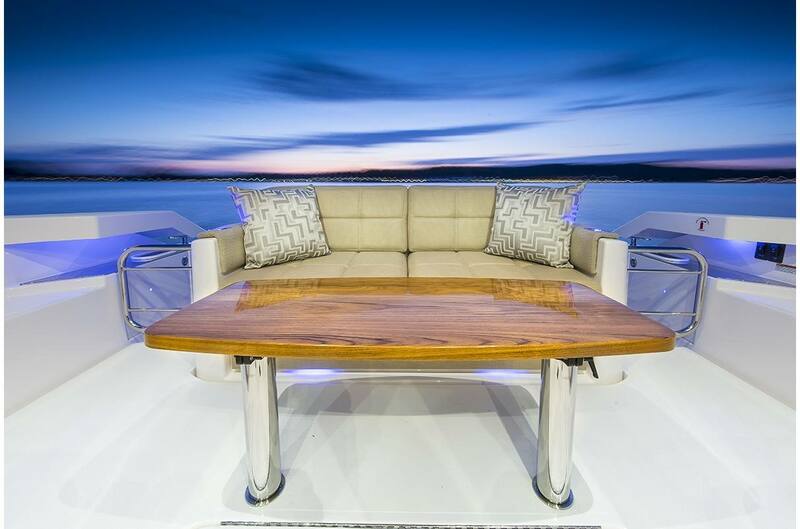 Ultraleather upholstery compliments the comfortable seating perfect for entertaining or dining. 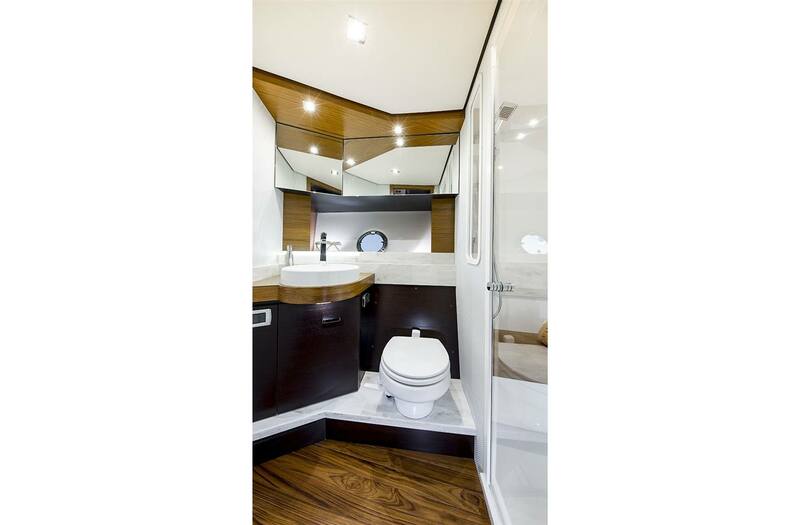 The airy atrium opens to the lower level and provides easy access to the utility room and VIP head. 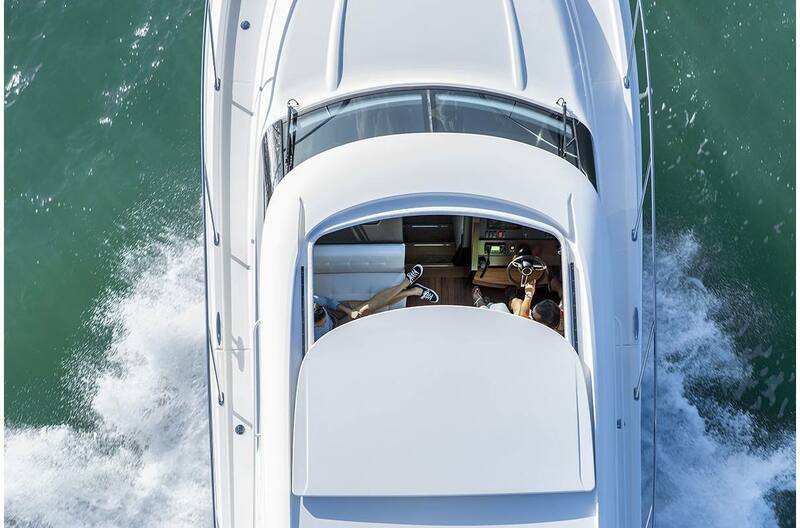 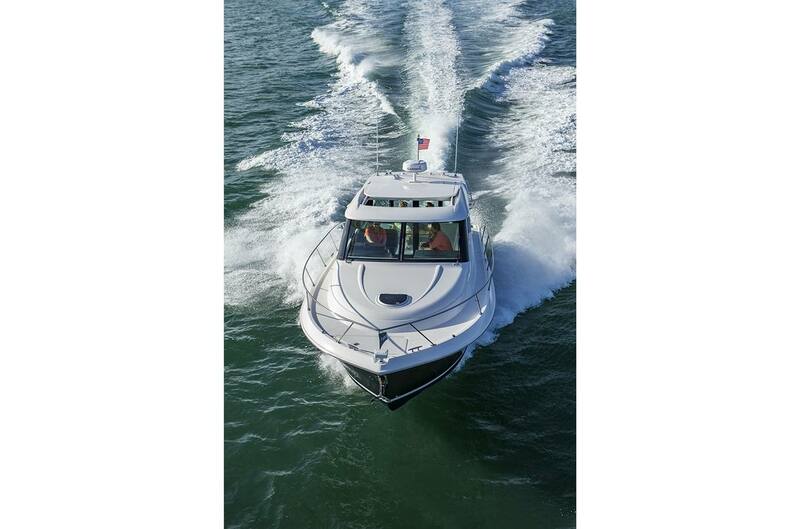 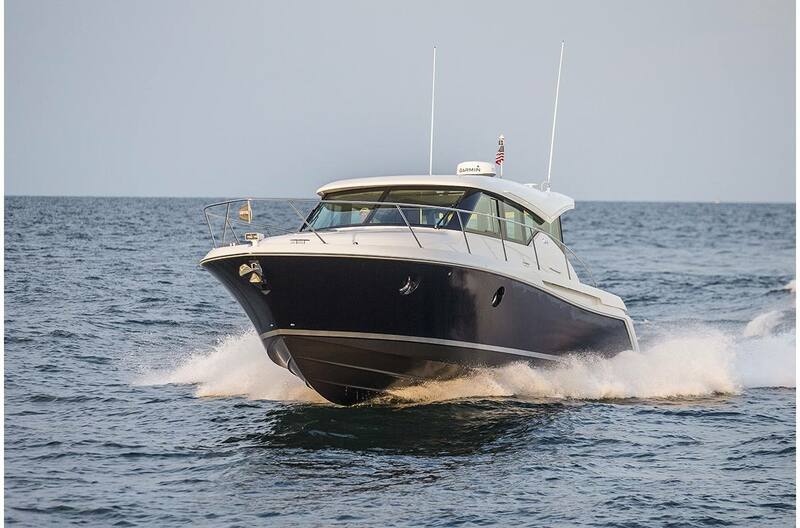 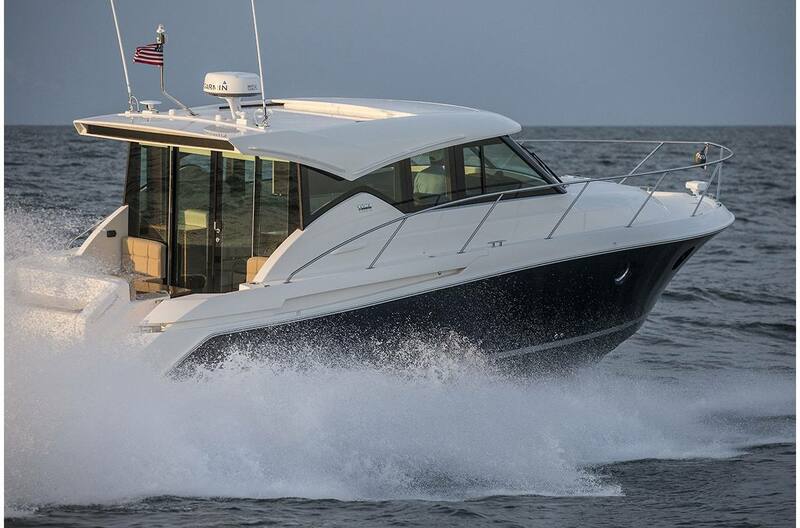 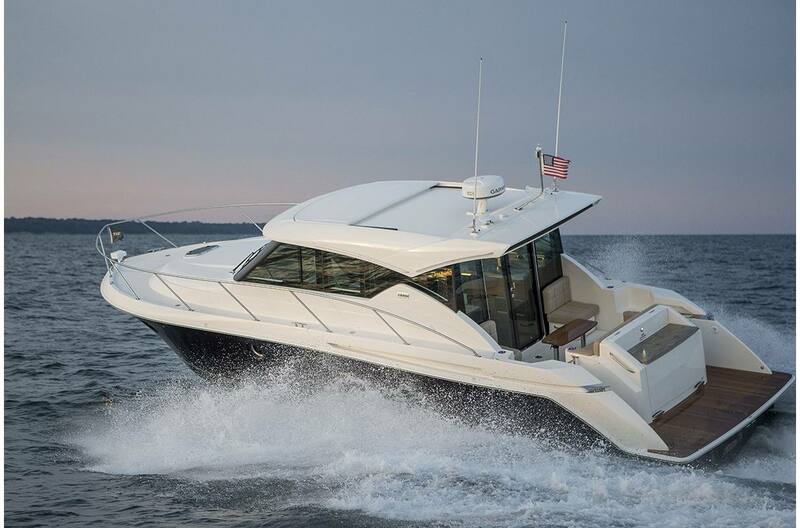 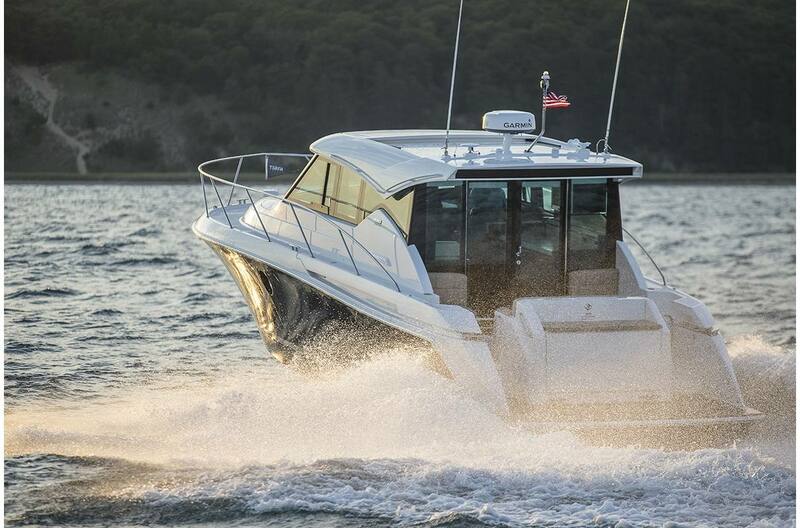 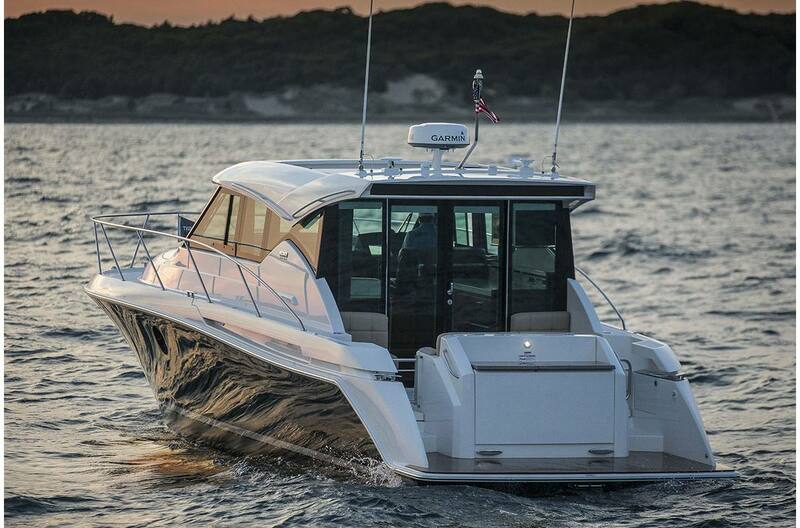 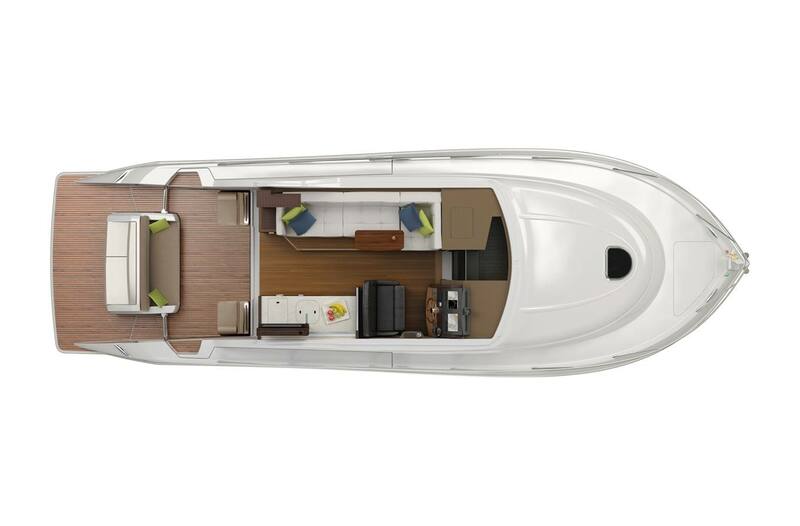 Tiara's uncompromised quality and luxury combined with the latest in navigation and operating technologies make the Tiara 39 Coupe a perfectly sized and powerful package. 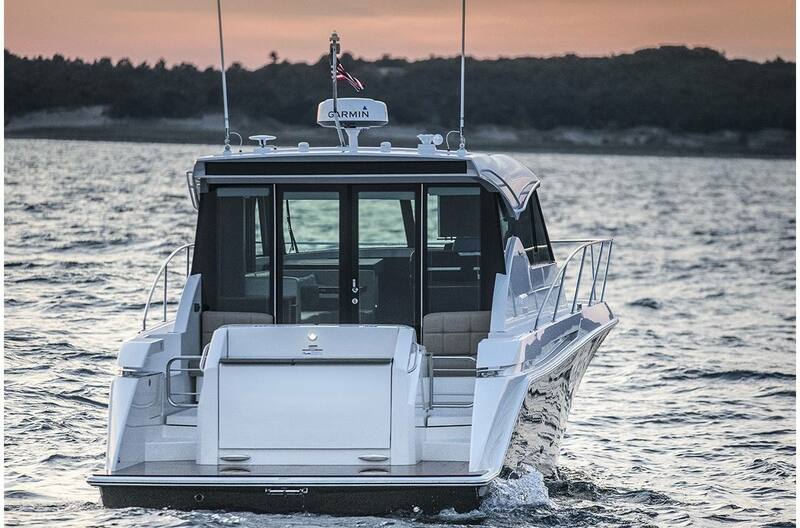 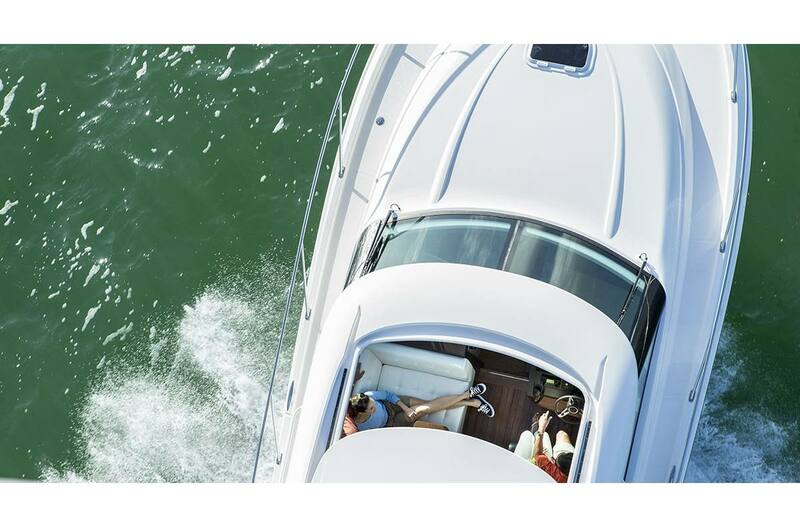 Twin Volvo Penta IPS drives, paired with the dependable, sweet-riding Tiara hull, deliver an exceptional driving experience. 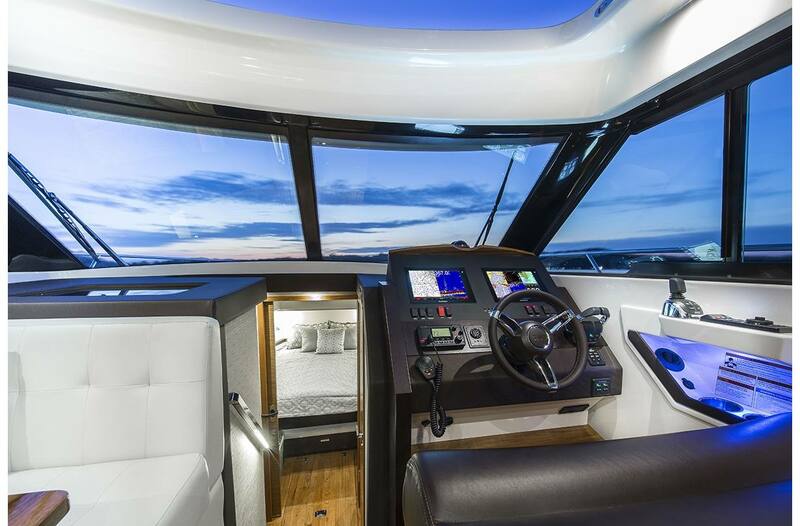 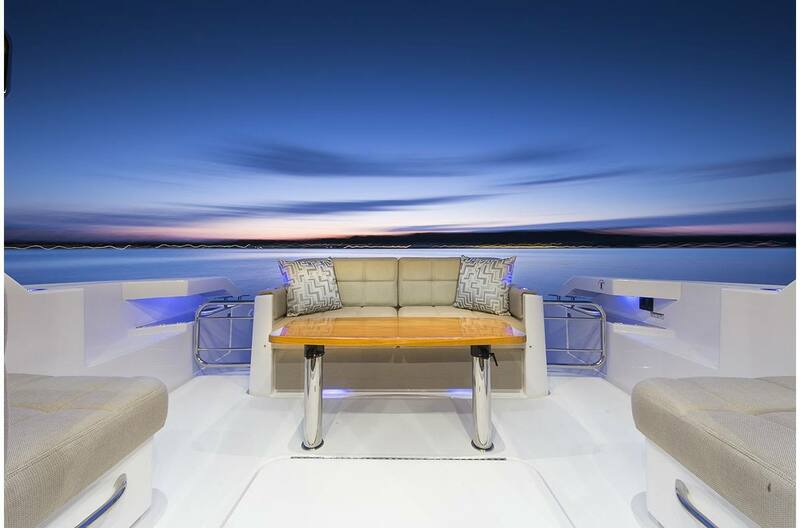 The ergonomic helm with seating for two compliments the joystick controls and glass cockpit instrumentation with two displays that provide easy navigation and increase the enjoyment of your yachting experience. 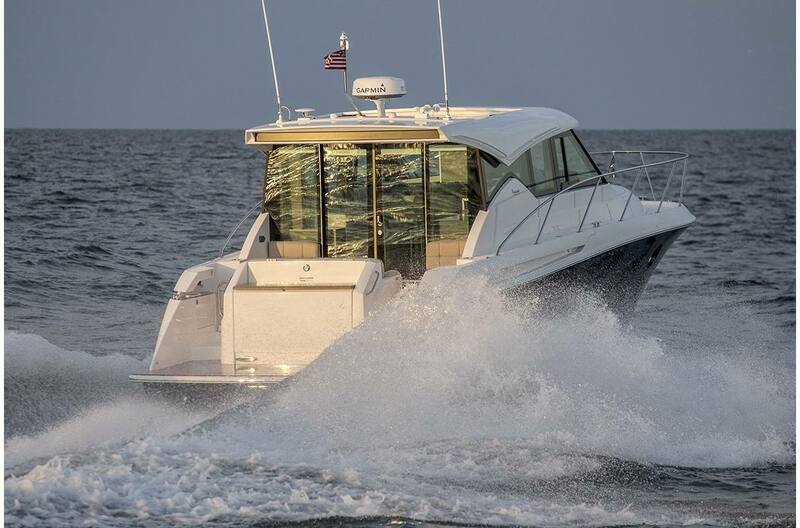 Settle in to a comfortable cruise at 30 MPH, or turn it up and enjoy that last dash into the inlet at a get to your destination faster at a WOT speed of 40 MPH.